Hello. I am Mark Ashmore and 155 design is my creative realm. I am a freelance graphic designer, specialising in brand creation, application and management, across various online and offline media. I am available for contractual or private work. After gaining a degree in Product Design and Technology at Brunel University, and then subsequently gaining experience working for two design agencies, I founded my own creative company – 155 design. Initially working on projects across a wide range of sectors, I ended up specialising in motorsport design. The highlight was a four-year partnership with Foggy Petronas Racing, a top-level team competing in the World Superbike Championship. Six years later, I joined an established design and marketing agency, where I worked as a senior creative on some high profile projects for their main client – Honda. I worked on conceptual design, pan-European literature and above-the-line National advertising for cars, motorcycles and power equipment. More recently, I have ventured out on my own again, working as a freelance designer and also undertaking private design work under my refreshed 155 design brand. My new-found flexibility has also allowed me to pursue one of my personal ambitions – writing. I am currently working on my first novel, a historical fiction set in Ancient Rome. Ever since learning the fundamentals of design at university, my approach to creativity has always followed the same methodology. Firstly, I design for the client and never myself. By understanding the client’s needs and the market in which they operate, I am able to create communications that are both on-brand and on-trend. Secondly, I ensure each and every element of a project receives the same uncompromising attention to detail. This results in strong brand-centric materials that are well considered and work to strengthen that brand’s presence and appeal. Thirdly, I have a genuine passion for what I do. It’s simple – the day I stop loving design is the day I stop designing. Until then, my work will continue to demonstrate my commitment to creativity that delights my clients and brings genuine value to any brand I work for. Freelance designer for several established agencies. Working with private clients on various projects. 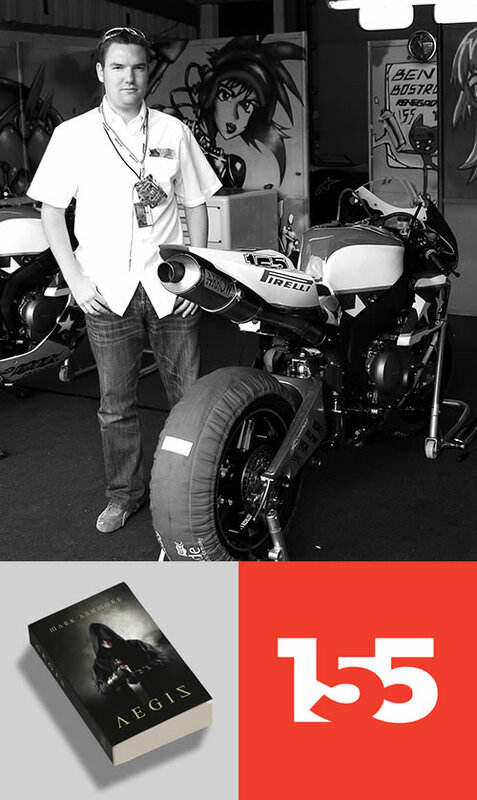 Co-founder of highR, specialising in motorsport brand design. Currently working on first novel. Senior creative on Honda account, working on a wide range of projects for Cars, Motorcycles and Power Equipment. Multi-disciplined role, from initial conceptual designs and presentation visuals, through to final artwork and copywriting. brochures, product catalogues, advertising (offline and online) and POS material. Helped to win the Honda (UK) Car account with successful design pitch. Produced a series of advertising campaigns for national newspapers. Designed a suite of launch material for a new car model. Created motorcycle brochures and literature for a Europe-wide audience. Conceptualised and storyboarded a product film for a new lawnmower. Company foundation and management. Creative lead on a wide range of projects – specialising in motorsport. Created a vast portfolio of work, in various media (print based and electronic) for many differing clients across various industries. Expanded personal knowledge of different media and processes, constantly striving to learn new techniques and raise the standard of the designs produced. Worked with several high profile motorsport teams, the highlight being a four-year partnership with Foggy Petronas Racing, the World Superbike team. Designed a special livery for the Renegade Honda World Superbike team, used at Brands Hatch by Ben Bostrom. Single-handedly designed the 150 page Official Team GB magazine for the 2006 Winter Olympics in Turin. In charge of a creative team producing high specification websites. Maintained a high level of creativity and attention to detail on all projects. Worked closely with programmers to develop dynamic e-commerce solutions. Implemented a company re-brand, with a dynamic image and strong market presence. Created a professional and high quality portfolio, taking the business to a new level. Brought the previously under-developed electronic design side of the business in-house and therefore added to the company’s complete service capability. Worked on websites, electronic presentations and CD-ROMs. Developed knowledge of electronic design software and techniques, most notably in using Flash for presentations and CD-ROMs. Created an extensive online catalogue and portal for a cooperative scheme between the agency and a leading brewery. Created an innovative multimedia concept for the Castrol Honda World Superbike team. © Copyright 2019 155 design.